Wondering what to eat before and after a workout? What you munch on can make a difference in your performance and how you feel. This is because there are certain foods that can help maximize your efforts to help make each training session a great training session. Here, we tell you what to eat before and after a workout, so you can reap the benefits every single time. There are some people who train fasted. People who train fasted might be those doing intermittent fasting, who exercise early in the morning or simply prefer to workout on an empty stomach. Then there are those who need to eat something before a workout. Eating prior to a workout can give you the energy you need to make it all the way to the very end. Like we mentioned before, there are some foods that can give you better benefits than others. While healthy fats are beneficial to your health, before a workout is not the best time to consume them. They are slow-digesting, meaning that instead of giving you the energy to pump you up before and during your session, it can instead make you feel sluggish (which is the last thing you want to feel while training). So limit your fat intake, especially if you are doing high-intensity workouts. 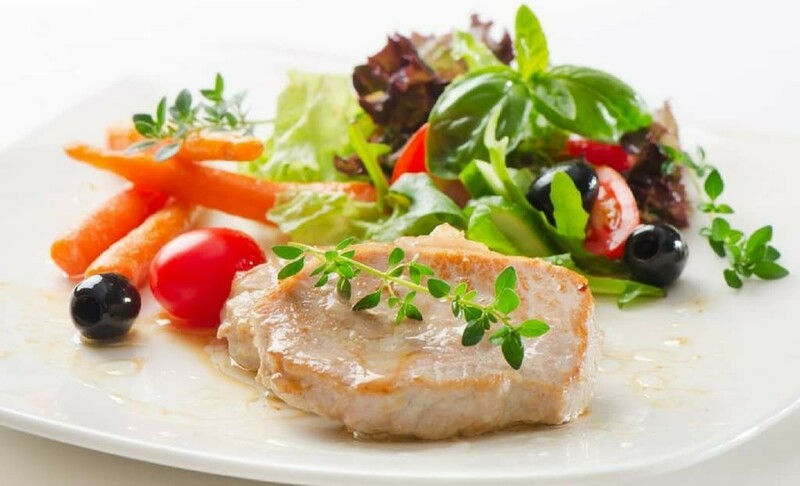 But if you do need to eat some healthy fats, then it is best to save it for low-moderate intensity exercises. Because you want to focus on losing fat and not muscle, protein is really important. It will assist in preventing muscle catabolism, which is the break down of muscle tissue. In addition, it will also aid in recovery and growth. So make sure that protein is on your meal list. Carbs are also an important macronutrient to consume prior to a workout. However, the type of carbs you should eat depends on how soon after eating you plan to workout. If you are training 2-3 hours after your meal, then complex carbs are great. If it is anytime less, then simple carbs are the way to go. Consume a source of lean protein with vegetables and brown rice. It’s a classic dish for a reason—it has a great balance of vegetables, protein, and complex carbs. Complex carbs release energy slowly so by the time you train, your body will be ready. Another great meal idea is a veggie omelette with a side of protein on whole grain toast. What to eat 1-2 hours before a workout? Protein smoothie with fruit and veggies. Now is the great time to have that protein shake. To amp it up, add some fruit such as a banana or berries, as well as some greens. A handful of spinach, kale, or celery can help you fit in a serving of vegetables. Oats. Get some carbs in with healthy oats, and add in some protein by mixing in protein powder. This is a versatile dish that you can mix up by changing the flavor of your protein powder. Also, you can include some honey to sweeten it up. This meal will give you slow-releasing energy that will keep you satiated throughout your workout. What to eat 30 min-1 hour before a workout? Now is the time for simple carbs. They are great for 30-minute windows because they break down fast, meaning you will feel energized faster. Banana. This is a favorite pre-workout snack. It is easy and convenient. It is made up of simple carbs, natural sugars and potassium. However, this is only stored in the body for a limited amount of time so only eat it when you are about to workout soon. Add some peanut or almond butter for some added protein. Rice cake with peanut/nut butter. A great balance of carbs and protein. Also, it is pretty delicious! Make sure you drink before you even start exercising. This will keep your body fluids up, which is important as you will lose water through sweating. If you are exercising in the afternoon or night, then make sure you stay hydrated throughout the day. It is critical that you eat after a workout to replenish the depleted glycogen stores you used during exercise. This will also help speed up the muscle recovery process. For optimal results, try to eat within 30-minutes to 1 hour of exercising. Again, focus on protein and complex carbs. The protein will help with your muscles in recovery while also assisting in rebuilding new muscles. Carbs will replenish glycogen stores. Protein Shake. A protein shake isn’t required after a workout but the reason why you may see people filling up those shakes post-workout is that it is a convenient way to quickly get that protein in. Choose your favorite flavor and try to mix in some fruit for some carbs like a banana or some berries. Protein, vegetables and rice. If you are still confused on what to eat before and after a workout, you can never go wrong with this dish. This meal works just as well post-workout as it does pre-workout. It has a great balance of the important things you need to refuel your body. For a veggie option, try black beans as it is a great mix of carbs and protein as well. Greek yogurt, berries and granola. Choose Greek yogurt over regular yogurt as it has more protein. The berries are micronutrients which can aid in muscle recovery, with a side of carbs in the form of granola. Delicious! Chicken sandwich on whole grain toast with a side of salad/vegetables. Don’t like chicken? Swap it for beef, turkey, or even tofu and beans. This is a great mix of carbs, protein, and your greens. Pita Bread and Hummus. Dip some yummy pita bread into hummus for a great carb/protein balanced meal. It’s a great vegetarian option for those who follow a meat-free diet. Now you know what to eat before and after a workout, don’t forget to stay hydrated. Water plays a vital role in your body—whether it is before or after training. So drink up! A simple way to remember what to eat before and after a workout, just remember your protein, carbs, and vegetables. That should give you a good balance of the important nutrients and minerals you need. 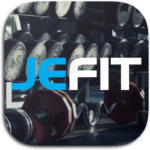 Jefit is a workout log app that comes with a customizable workout planner, schedule, and exercise routines. It also comes with like-minded people who can help you decide what to eat before and after a workout, share training tips, advice, and wins. Use the Jefit app to get on track with your fitness goals, and join our members-only Facebook page here!